I am really having fun painting in small format. I will have a chance to experiment with scratching and folding designs that remain largely invisible until I apply paint. I look forward to using different color schemes, and finally to matting the final product. 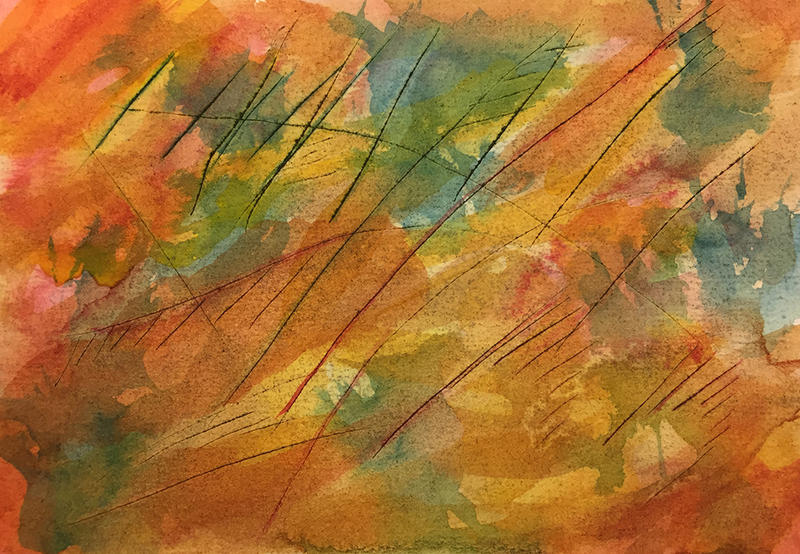 This entry was posted in Personal Stories and tagged abstract art, abstract expressionism, artistic process, artwork for sale, creative process, creativity, scratched paper, small format, visual arts, watercolor. Bookmark the permalink. That’s a beauty, Jack. N.